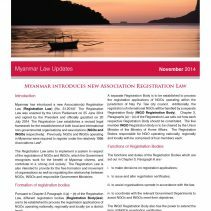 Myanmar has introduced a new Association(s) Registration Law (Registration Law) (No. 31.2014)1. The Registration Law was enacted by the Union Parliament on 25 June 2014 and signed by the President and officially gazetted on 20 July 2014. The Registration Law establishes a revised legal framework for the establishment of both local and international non-governmental organisations and associations (NGOs and INGOs respectively). 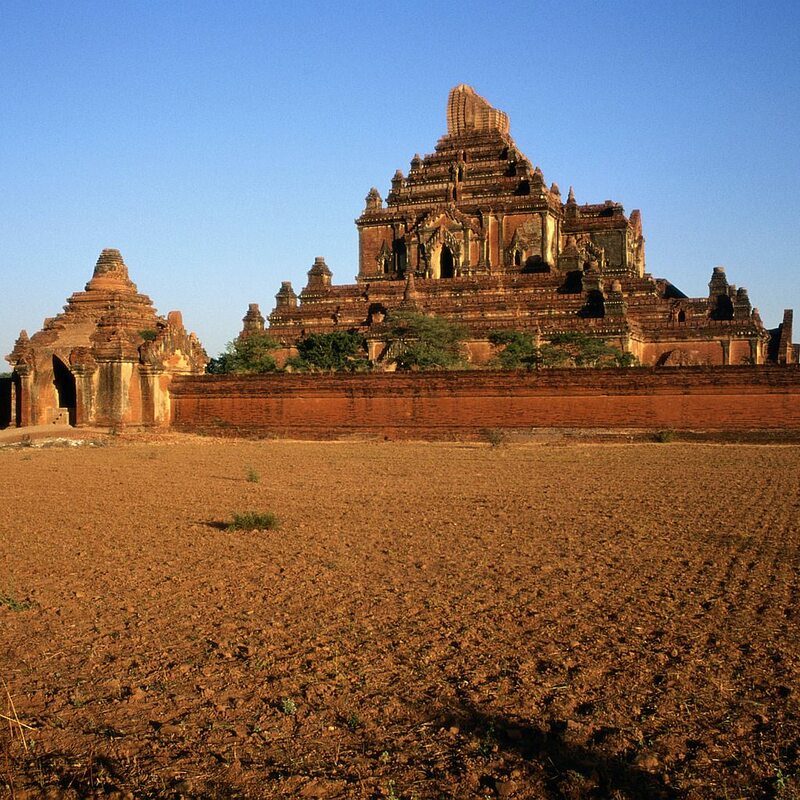 Previously, NGOs and INGOs operating in Myanmar were required to register under the relatively 1988 Associations Law2. The Registration Law aims to implement a system in respect of the registration of NGOs and INGOs, which the Government recognises work for the benefit of Myanmar citizens, and contribute to a ‘strong civil society’. The Registration Law is also intended to provide for the free formation and movement of organisations as well as regulating the relationship between NGOs, INGOs and responsible Government Ministries. Pursuant to Chapter 3 Paragraph 4 (a) – (e) of the Registration Law, different registration bodies (Registration Body(ies)) are to be established to process the registration applications of NGOs operating nationally, regionally and locally (on a district level). A separate Registration Body is to be established to process the registration applications of NGOs operating within the jurisdiction of Nay Pyi Taw city council. Additionally, the registration of international NGOs will be handled by a separate Registration Body (INGO Registration Body). Chapter 3, Paragraphs (a) – (e) of the Registration Law sets out how each respective Registration Body should be constituted. The five member INGO Registration Body is to be chaired by the Union Minister of the Ministry of Home Affairs. The Registration Bodies responsible for NGO operating nationally, regionally and locally with be comprised of four members each. The INGO Registration Body also has the power to extend the term of INGOs registration certificates. Applications to register should be made by the INGOs Responsible Person. The INGO Registration Body shall issue a temporary registration certificate to an INGO within 7 days of receiving its application for registration. If the INGO Registration Body approves the registration of the INGO it must issue a registration certificate within 90 days of the date of application. 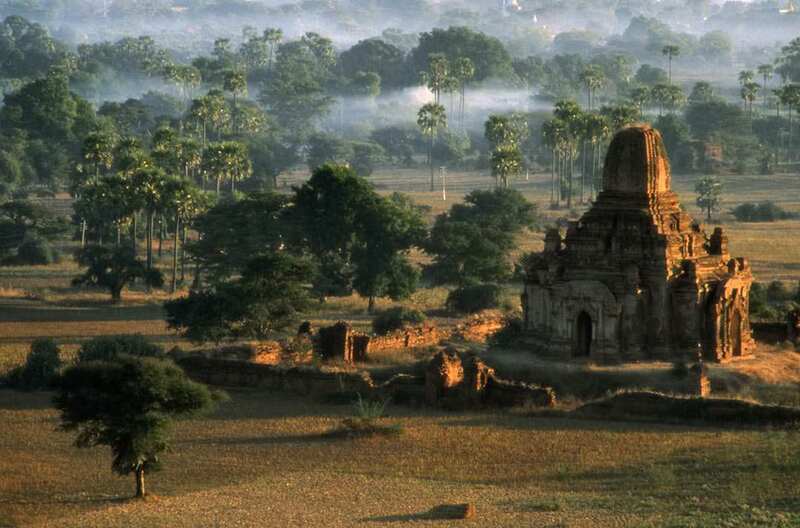 The registration fee is Kyats 100,000 (approximately US$100). If the INGO Registration Body decides not to permit an INGO to register, it is required to inform the INGO within 30 days from the date of application. Pursuant to Chapter 5 Paragraph 14 (d) of the Registration Law, INGOs can appeal a decision of the INGO Registration Body. A number of organisations are exempt for applying for registration under the Registration Law. These are religious and business organisations; political organisations and organisations which are required to be registered under other laws of Myanmar. NGOs and INGOs must submit an annual report to the relevant Registration Body. NGOs and INGOs are further required to renew their registration certificates after 5 years. No renewal fee is payable. An NGO or INGO which is unsuccessful in its application to extend its registration certificate has 90 days to appeal the decision of the relevant Registration Body. An NGO or INGO has 180 days in which to cease operations following an unsuccessful appeal to the relevant Registration Body. Pursuant to Chapter 8 of the Registration Law the Government undertakes to safeguard the rights of NGOs and INGOs under the Registration Law and the other applicable laws of Myanmar. Registered NGOs and INGOs have the right to sue, the right to establish funds, the right to collect donations, the right to open bank accounts and the right to own property. Registered NGOs and INGOs have rights to their trademark, including their ‘seal’ and ‘uniform’. The Registration Law does not state how an NGO or INGO might enforce or protect its ‘trademark right’. 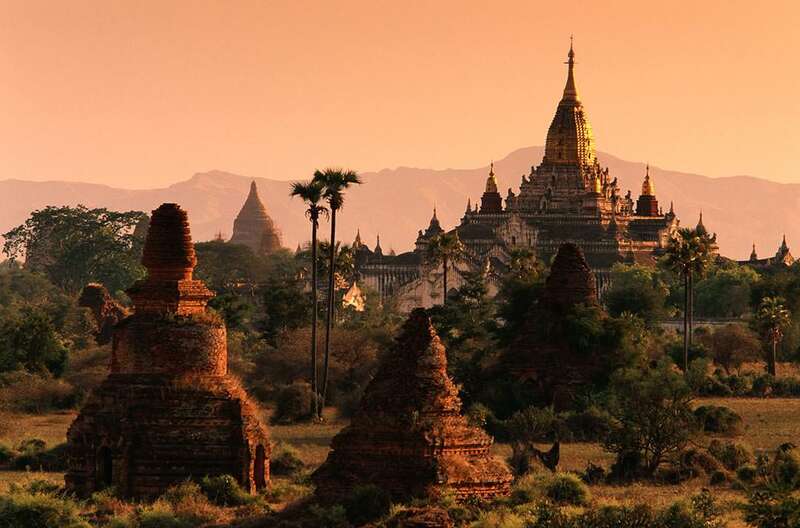 Currently Myanmar has no trademark legislation. In cases of emergency the Registration Law provides local NGOs with the right to carry out activities beyond the region it which is normally permitted to operate. The Registration Law also provides for the granting of temporary registration permits to unregistered INGOs during emergencies.